I’ve been a bit out of sorts for the past few days, so apologies for the lack of post yesterday, I know how many of you look forward to the Sunday Tittle Tattle! I’ll be back into the swing of things shortly, but for now here’s the latest video – a very quick and easy smokey eye look. I’ve called it “Festival Makeup” but – in all honestly – that’s only because I filmed it as everyone was trotting off to Glastonbury. It’s a great little look for just about any occasion; slightly grungy and undone. Enough of my ridiculous speculating: here’s the video. 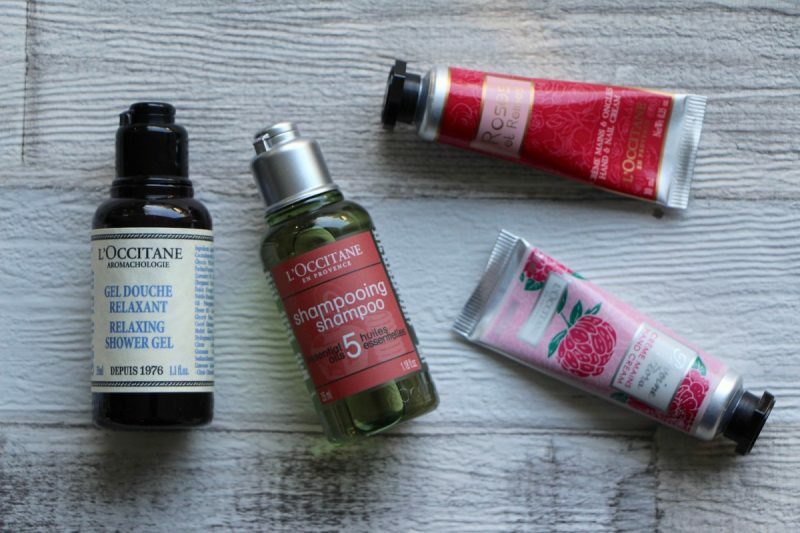 I’ve listed the products beneath the screen, for easy reference. The post Easy Festival Makeup and The Quickest Smokey Eye appeared first on A Model Recommends. It’s only the beginning of October – the leaves are barely dropping from the trees – and already the beauty advent calendars have begun to creep onto the internet. I sort of feel that you need to be a serious beauty enthusiast to snap up anything Christmas-related this early, but on the other hand, these calendars sell out so quickly that if you’ve got your heart set on opening cardboard doors to reveal mini luxuries rather than a Cadbury’s chocolate shape every day this December then you need to get moving. 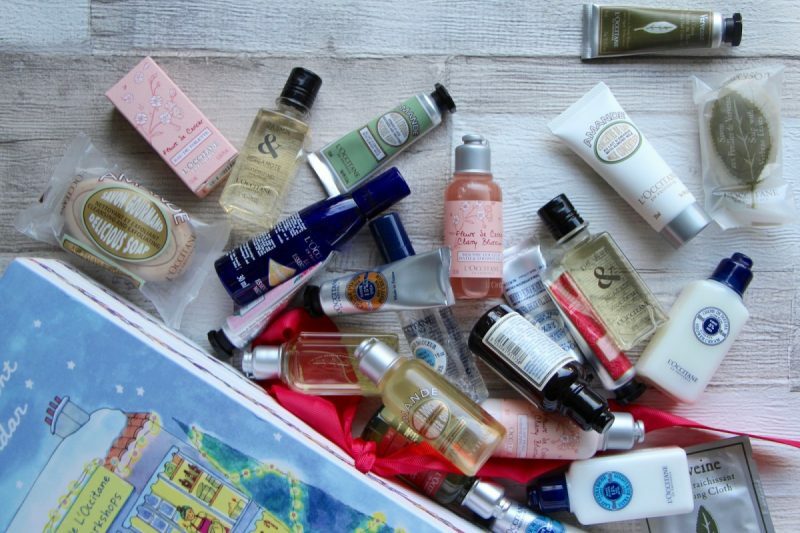 The l’Occitane Advent Calendar (£42 here) is a whopper – jam-packed with travel-sized shower gels and body lotions and miniature perfume and dainty tubes of hand cream. The total equivalent product value is over £80, so you can feel happy that you’re not paying for the novelty factor – last year there were a few doors with duds behind them (paper decorations and so on), but this time it’s all very, very good. 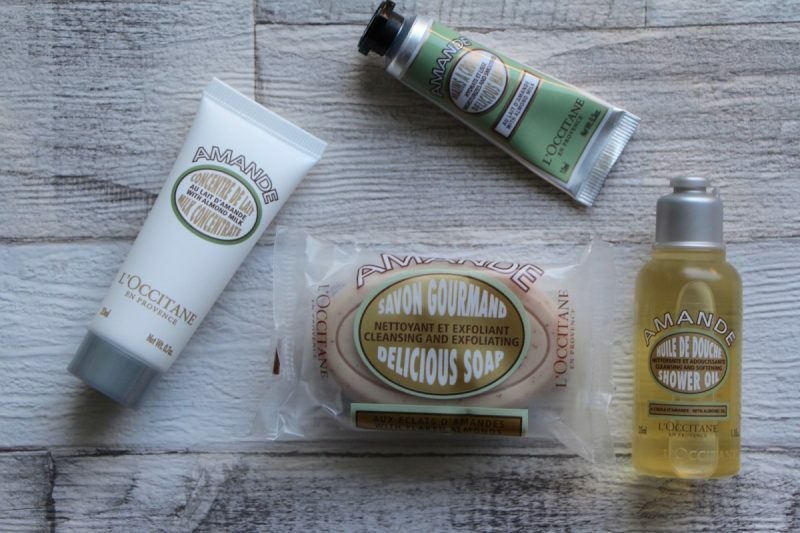 A highlight for me is the inclusion of the Amande range, my favourite from l’Occitane – there’s even a little tube of the Milk Concentrate, one of the best body creams ever invented. Usually it’s in a big heavy glass jar, so quite nice to finally have a travel version! 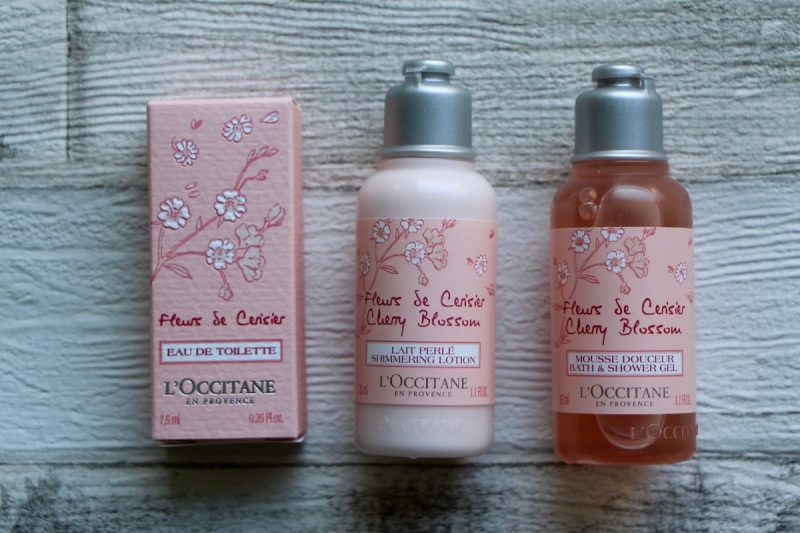 The Cherry Blossom range is just delicious and you get a shower gel, shimmering body lotion and miniature glass bottled eau de toilette. 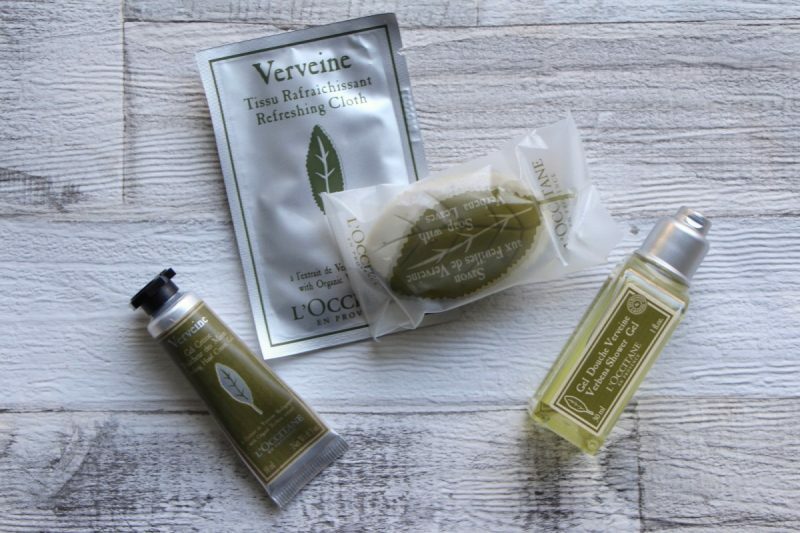 I want to leave a few surprises (though you can always zoom into the bigger overview picture) so I’ll finish with the selection of Verbena products, including a “refreshing cloth”. Possibly the only low point of the whole box, if you forced me to even pick a low point. 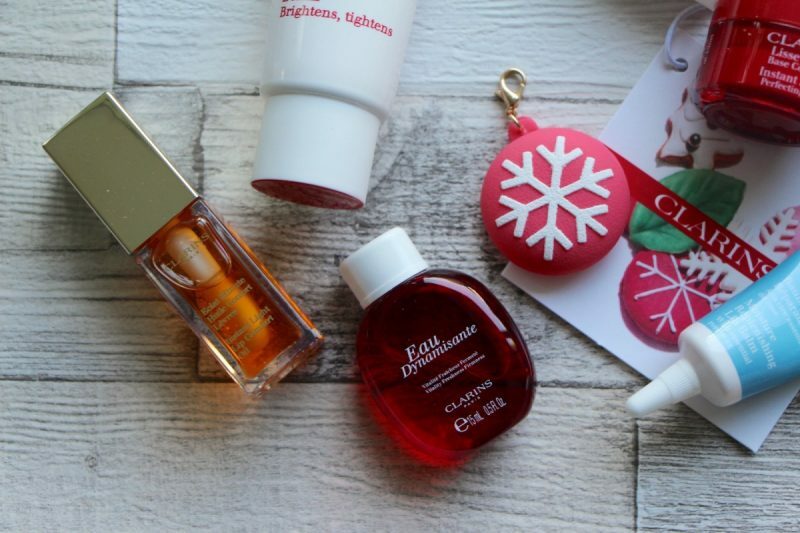 Overall, it’s just a brilliant, lovely Christmas buy, whether you’re a die-hard l’Occitane fan or just want to spend 2017 sampling all of their wares in miniature form! 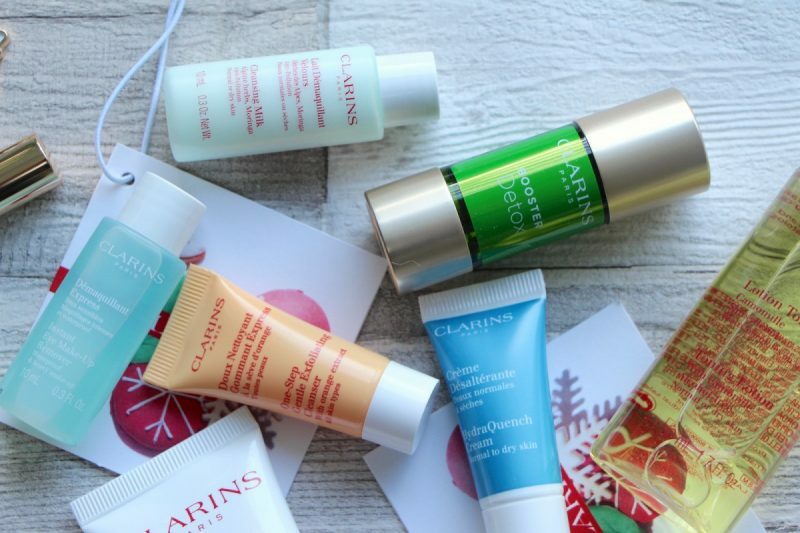 The Clarins Advent Calendar is another beauty-fest; everything from primers and blushers to whopping great tubes of Beauty Flash Balm and the famous Hand and Nail Treatment Cream. 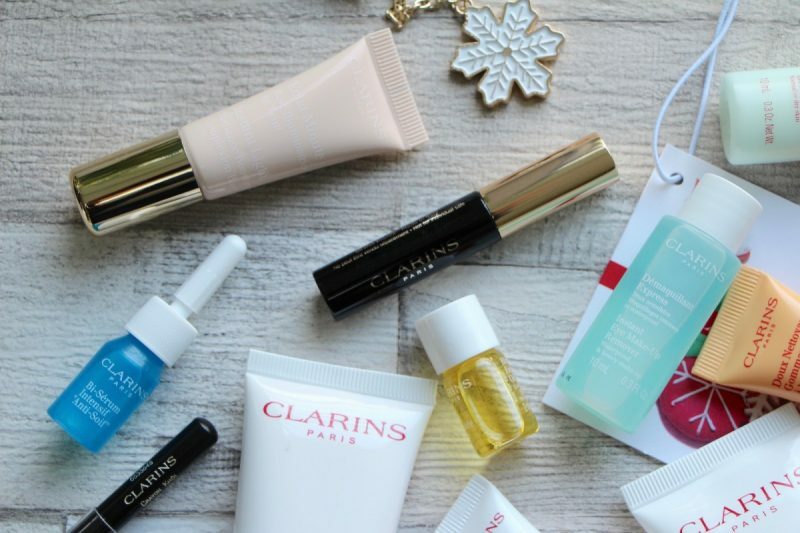 It’s £95 (free shipping, tote and four samples worth up to £43 here) so you’ll want to be a proper Clarins devotee, but everything inside has been well-chosen and I love the inclusion of sell-out products such as the lip oil.